This year, Lambeth is hosting the only simultaneous firework display in London. So remember, remember, Wednesday 5th November at 7.30pm. 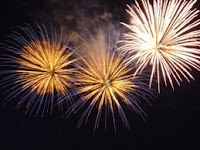 Anybody with information about shops selling fireworks to young people under 18 years old should contact the Stockwell Safer Neighbourhood Team on 020 8649 2533 or 07920 233836, or Lambeth Trading Standards on 0207 926 6109.